Exclusive to our customers, we offer everything you need to market your business online, all under one roof. We’ll work with you to define your target audience, key messages and topics. After that our writers will create content for your prospects by getting to the heart of topics they care about. Get more service details and pricing. Ensure that your blog is updated each and every week with high quality articles that interest your clients and prospects. Want to do a monthly newsletter? It’ll always be ready to go. Have that one-off project you’ve been planning to get done since…forever? The Netfolie wordsmiths can turn around professional marketing communications quickly, at a price you can afford. People turn to search engines when they need to find something. Having visibility with potential clients when they’re looking for you is a critical to any online strategy. If your local prospects can’t find you, you don’t exist. Netfolie will get you into all the important local business directories and keep your listing fresh and up-to-date. Sending regular email newsletters to your subscriber base is a great way to keep in touch with both clients and prospects. Netfolie takes care of this execution to make sure each newsletter goes out on time. Share some fun with your subscribers with Netfolie’s unique holiday cards. We’ll customize each one to match your company’s branding, so the experience is truly personal from you to your subscribers. Email is a fantastic medium to update your subscribers about new announcements, events, promotions or product launches. Netfolie can help with the execution of copywriting, newsletter creation and delivery. Coming later in 2016, we’re currently in the process of putting together an end-to-end drip marketing solution that integrates directly with popular email and CRM tools. Keep your eyes peeled! Paid search is quick, scalable and easily measurable. With our AdWords Management services, we’ll take care of everything so you can start earning new leads today! Retargeted advertising helps capture those potential leads that didn’t convert on your website the first time around by displaying your ads only to people who have engaged with your website. 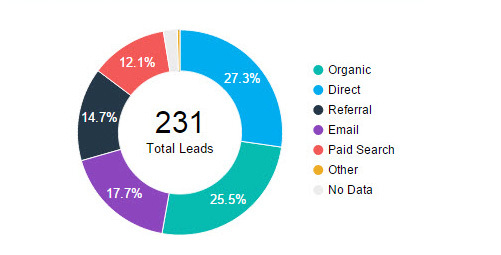 We integrate with a variety of data sources so you can view your traffic, leads, keyword ranking and competitor data all in one easy to understand dashboard. When it comes to promoting your business online, our marketing services have you covered from end to end. Let’s get started!